Remotr - The Witcher 3 GOTY edition - now on Android and iOS?! The Witcher 3 GOTY edition - now on Android and iOS?! When was your last time spent with our favorite sword-wielding mutant (sorry Wolverine - occasionally using a sword doesn’t count.)? The fans were waiting for it (some of them winning medals at Olympic Games) and now it’s official - with soon-to-be-released GOTY edition of The Witcher 3 we have an opportunity to re-visit all the beautiful lands (now with an AWESOME 360-degree screenshot support) and slay all the ugly monsters the game has to offer. Both expansion packs — Hearts of Stone & Blood and Wine — and every piece of downloadable content, as well as every update and improvement ever released. 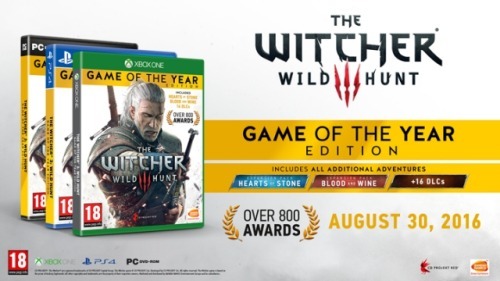 The game will release on PC, Xbox One and PlayStation 4 on August 30th, 2016 - and thanks to Remotr you can play The Witcher 3 on Android and iOS as well!